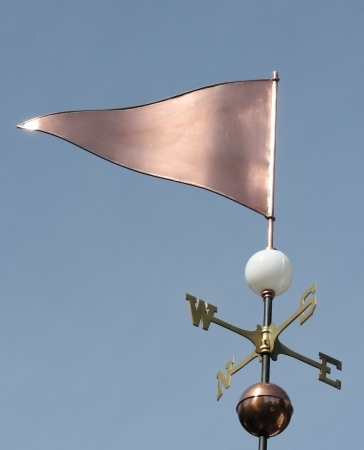 This Golf Banner Weather Vane is handmade entirely in copper. We often personalize this banner to indicate a particular golf club, family name, or other affiliation. This is usually accomplished by applying the text or logo in optional gold and/or palladium leaf. For example, we recently took an order for one of our Golf Banners where the customer wanted us to add the number 19 to both sides of the pennant. This could also be accomplished by cutting letters or numbers out of the surface of the pennant, but keep in mind that the cutouts will read backwards as the weather vane sculpture piece turns in the wind. For this reason, most people opt for the gold leaf to convey a textual logo. 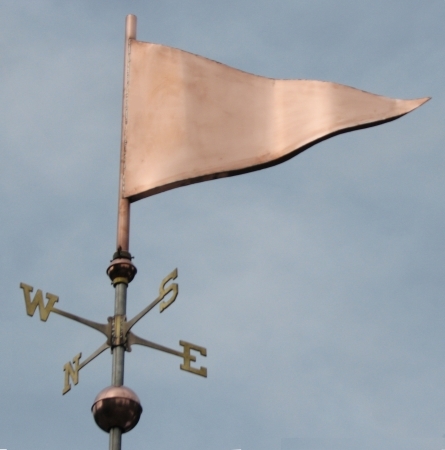 This weather vane can be fabricated in two ways. Typically, we craft it out of 16 oz. copper sheet and rim it with wire (see photos above). However, it can also be made as a tapered box for additional strength. The photo below shows how this is done. For high wind environments, this is the stronger method of construction. Another option available with our Golf Banner Weather Vane is a custom 4” diameter milky glass globe in place of the standard 2” copper globe. This white globe easily evokes a golf ball. 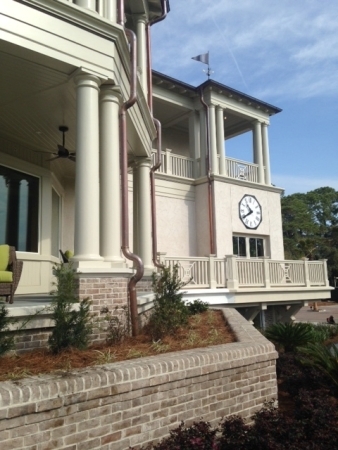 As pictured here, our customer also had us fabricate an optional custom bracket (shown below the copper globe). 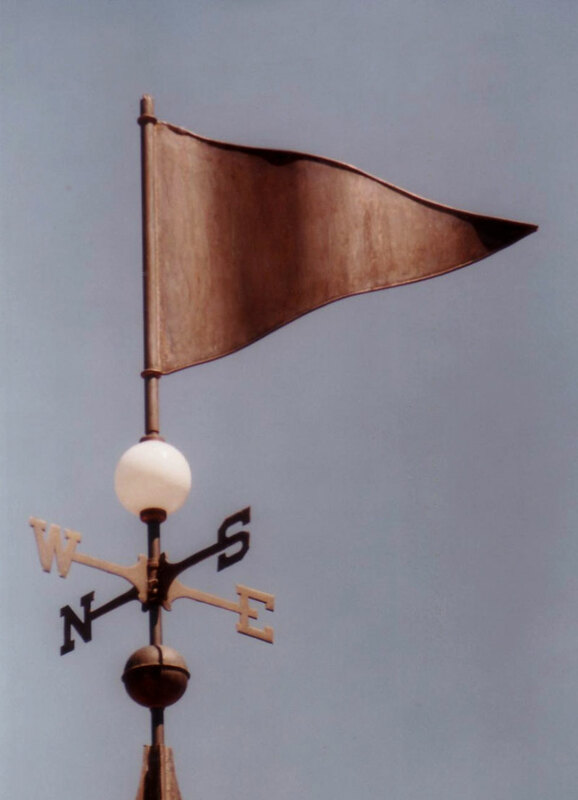 For most weathervane installations, such a bracket is not necessary. 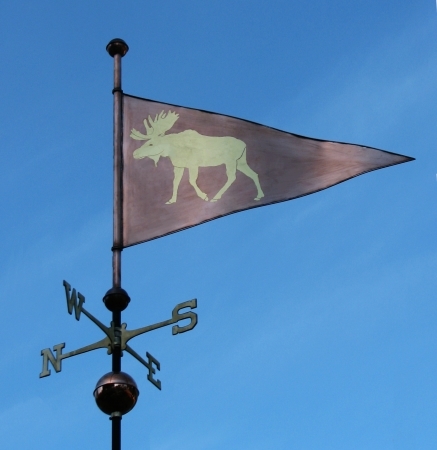 Because each of our weather vanes is made to order, we are happy to discuss the ways in which you would like your vane personalized when you place your order. 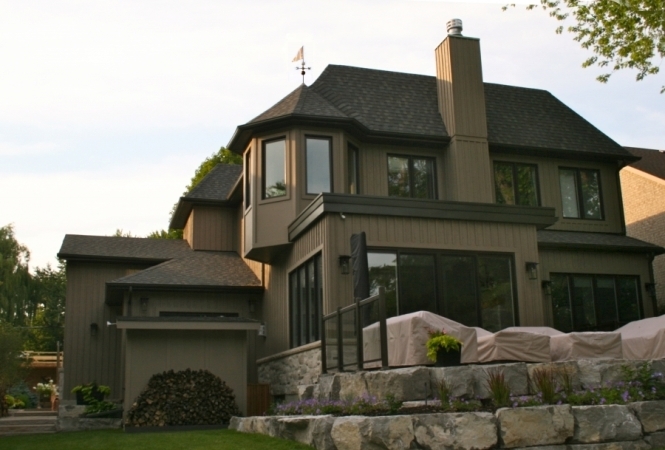 We were contacted by a customer in Toronto, Canada who was building a new home that backs onto a golf course. They wanted a weather vane related to golf but not one that looked their neighbor’s Golfer Weathervane. 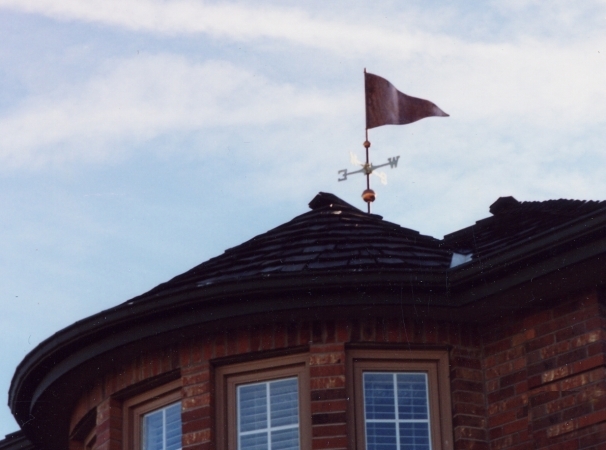 They discovered the Golf Banner Weathervane on our website, really liked it and ordered one to install on their home’s turret. Here is a note we recently received from them. A note like this makes our day!